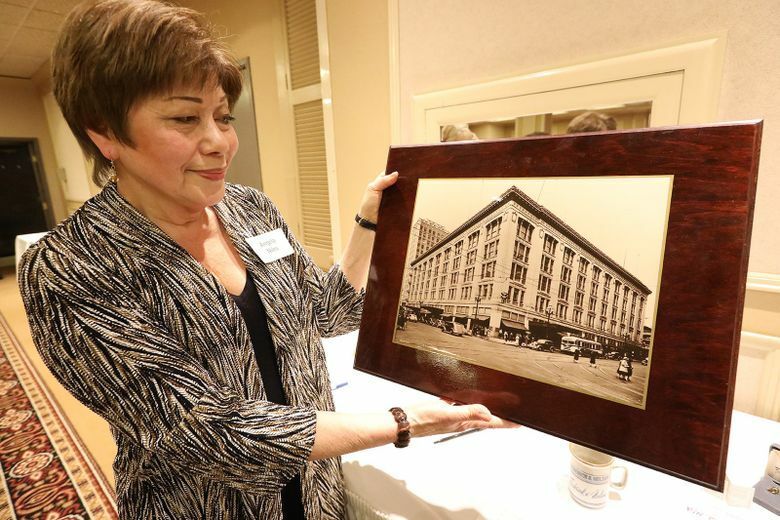 At the annual gathering of the Frederick & Nelson “RFQ club” (retired, fired or quit), memories swirled about the long-closed store. Amazon just isn’t the same. Right about now, they would be wrapping packages. The phones would be ringing, the Frango mints flying and the line for Santa nearly out the door. 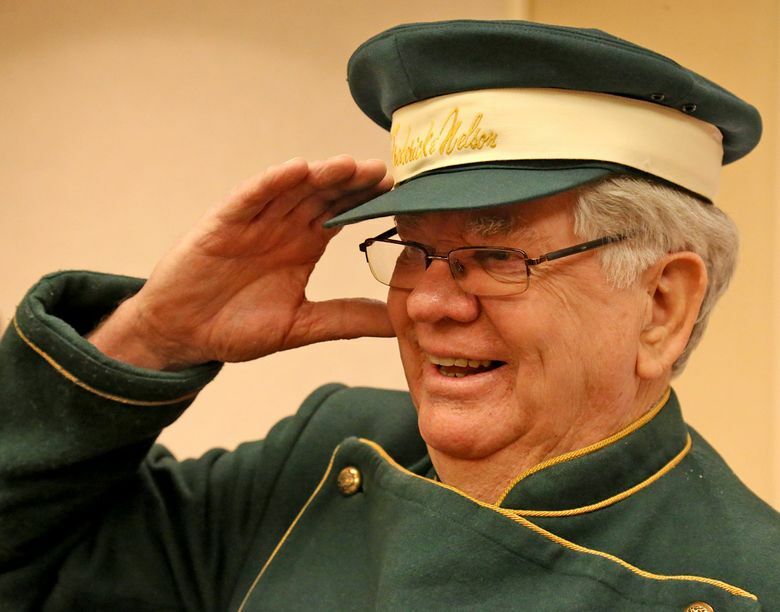 Instead, those who used to work at the iconic downtown Frederick & Nelson department store were gathered in a ballroom at the Best Western Executive Inn, remembering their time in retail and, more importantly, with each other. The 31st annual gathering of the “RFQ Club” (retired, fired or quit) drew 140 former employees of the store, which held down the corner of Sixth Avenue and Pine Street until it closed in 1992 and Nordstrom took over the space. “I’m thinking there’s 5,000 years of experience in this room,” said Janet Bell, a former buyer and now Windermere broker who stepped in to help luncheon founder Jan Perry run the event. Eleven people had worked there 30 years or more. One couple, Hugh Mann and his wife, Michael, each worked at the store for 40 years. “It’s really nice to see these people,” said Nick Utzinger, the buyer for the Designer Room and Designer Collections. He still has the high-end pieces that his late mother bought at Frederick & Nelson. “Valentino, Yves Saint Laurent, Balenciaga,” he said, a little dreamily. His sisters wear the clothes now; they come up from Oregon and take what they like. “Luckily, they’re the same size as my mother,” Utzinger said. Does he have anything left? Anita Zupan flew up from her home near San Jose, California, just to attend the luncheon. She worked at the Seattle store from 1980 to 1984, when she transferred to the corporate office in New York. “I haven’t seen anyone since,” she said, before heading into the crowd. Colleen Deymonaz would be “doing a lot of gift-boxing” and helping customers, including one who flew into Seattle from Alaska to buy his children a year’s worth of clothes in one visit. 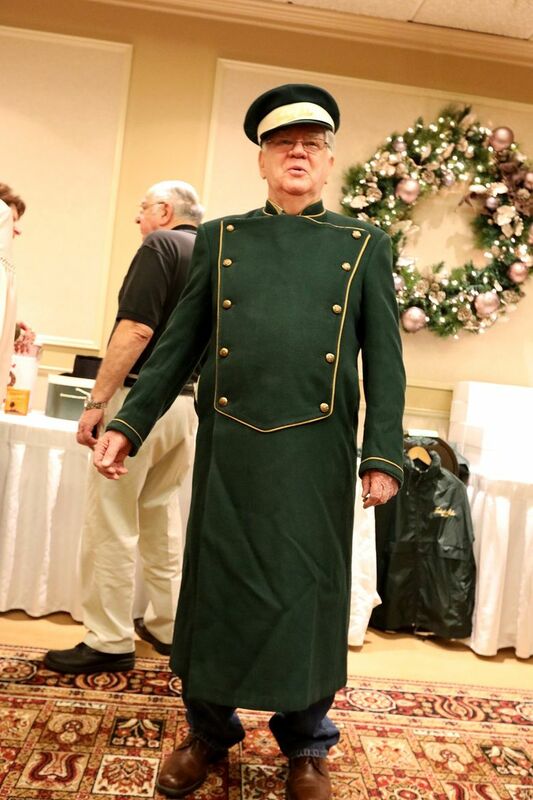 But there is now — and it’s where former buyer Rob Thomason ordered the green windbreakers bearing the Frederick & Nelson logo that he was selling for $20 each; and the wineglasses etched with the store’s initials that were selling well for $12 a pair. It’s just the way things are now. Maybe, but most people wouldn’t have wanted the store to change from the glorious place they remember. The “Delicacy,” where you could buy a hot dinner to go, wine to go with and something for dessert — this in the early ’60s, before food delivery. And along with the Needlework and Closet Shop, the glove counter and the nursery, was a gun shop, located in the sporting-goods department. It came with its own gunsmith, a man named Bill English. The place was adorned with the trophies captured by Frederick & Nelson President William Street, who frequently went on safari. Ronald Lemmen was pretty sure that’s where the store got the 2,000-pound, 11-foot stuffed polar bear that stood sentry at the doorway to the department. For Diane Neesz, working at Frederick & Nelson was a family affair. She worked in girlswear, her mother worked in stationery and at the tea room, her brother worked in the ski shop and her father delivered milk to the store from the Carnation dairy, which once stood where the Crate & Barrel is located in University Village. For her, the store was a constant, a home away from home. Who’s Mr. Foster? I asked. “I don’t know,” Fox said with a laugh, then softened. The stories continued to circle the room, like the waitstaff who served and cleared the lunch plates. There was the time a woman walked in wearing a fur coat, heels and nothing else. She got to the sixth floor before they caught up with her. Reginald Davis came wearing his driver’s uniform, complete with bright-green Frederick & Nelson cap and a striped, short-sleeved shirt with the company logo sewn into the back. “It was a wonderful life,” Barbara Bertsch Eckley said as we sat at a back table, watching it all.